The German automotive system integrator BHTC, Behr-Hella Thermocontrol GmbH, has established a research and development unit in Tampere, Finland. The unit size is estimated to grow to 20 persons by the beginning of 2018. The Tampere unit is developing e.g. wireless connectivity systems and sensors. The site manager in Tampere is Mr. Vesa Pelli, who has held a number of senior level positions at Microsoft Mobile and Nokia, most recently as director of wireless connectivity hardware. Behr-Hella Thermocontrol GmbH, BHTC, is one of the world’s leading companies in climate control and thermal management for the automotive industry. 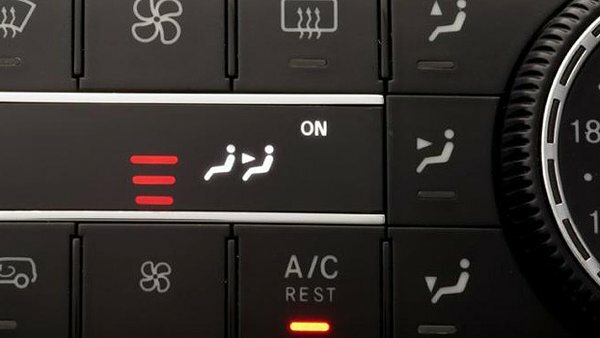 The main product groups are control panels and control units for vehicle air conditioning as well as center stacks/HMI (Human-Machine-Interfaces). Climate sensors, blower controllers and PTC auxiliary heaters complement the portfolio. BHTC covers the entire process from product design to the production of complete climate control systems. In this process, BHTC combines all areas of expertise from software, electronics and mechanics to all other technologies necessary for the development and production of current and future operating and display elements. The opening of the BHTC R&D unit in Tampere is a result of intensive pro-active work by Tampere Region Economic Development Agency Tredea, Finpro’s Invest in Finland advisors and a group of ex-Microsoft Mobile technology directors. The first direct contacts from Tampere to BHTC were made in the summer of 2016 and negotiations about the different possibilities for the Tampere unit continued until Christmas 2016. A key factor in the decision was the unique opportunity to hire easily, senior level technology teams in Tampere. This was due to the Microsoft Mobile and Nokia layoffs in Tampere region during 2015 and 2016. “Additional to the high availability of senior engineers, BHTC sees Tampere as a very dynamic and innovative ecosystem including high-tech companies, startups, development platforms and university-industry research cooperation possibilities.” says Mr. Vesa Pelli, Director of Tampere BHTC. Tampere has a very long history of smart phone and intelligent work machine development (e.g. forest machines, container handlers and mining equipment) and this knowhow can be utilize in automotive industry for example in positioning, display and touch equipment and HMI development. “Tampere is delighted to welcome BHTC to further enhance our technology ecosystem! Tampere is a great place to develop future solutions for the automotive industry and I’m sure that BHTC will see good results very fast with the Tampere team. I’m happy that BHTC identified this opportunity right after Microsoft Mobile and Nokia layoffs. My team and I were happy to offer the best possible service to BHTC. We wanted to give a turnkey solution and provide everything from talents to setting up the legal entity.” says Mr. Oula Välipakka, Director of Renewing Industry in Tampere Region Economic Development Agency Tredea.